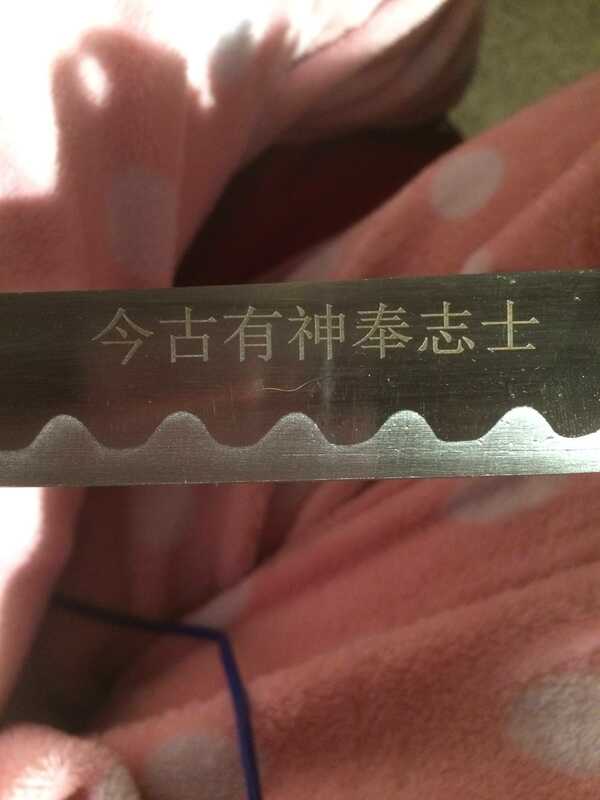 My sister recently won a sword at a business function, and I saw that on it were a few Chinese characters. I could recognize a couple, but my Chinese isn't advanced enough to understand them all. I tried to use websites that you could draw a character and the meaning would come up, but none of them guessed the characters right. I will upload a photo of the characters, and anyone is welcome to hep me translate. Thanks in advance! “今古有神奉志士“ http://lang-8.com/713038/journals/262505990182865882364936919823590265212 “Now and past there is a god to respect ambitious men."